In a study featuring a miniature ‘gym’ for beetles, researchers from the University of Cambridge found that beetles who consistently lose out to members of their own species have the most to gain by forming a mutually-beneficial cross-species partnership. The researchers studied the relationship between the burying beetle and the tiny mites that hitch a ride on their backs. Cambridge/UK — The researchers found that mites function like a warm jacket on smaller beetles, and cause them to heat up when the beetles exercise. This made them more successful in face-offs with larger opponents. For larger beetles, the mites actually reduced their level of fitness. They needed no help from mites to win ownership of a dead body and then lost out because the beetle larvae had to compete with mites for food. The results are reported in the journal Evolution Letters. 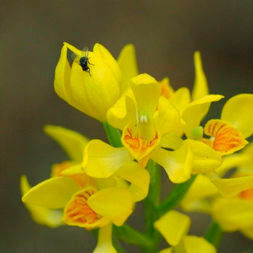 Relationships between two species where both benefit — such as flowering plants pollinated by insects — is known as mutualism. These relationships are widespread and are key to maintaining biodiversity and ecosystem function, but they are highly variable. When the costs of a mutualistic relationship start to outweigh the benefits, it will break down, said Syuan-Jyun Sun, a PhD candidate in Cambridge’s Department of Zoology and the paper’s first author. The scientists wanted to find out if competition within species might be one of the reasons why there is such variety in mutualistic relationships. Bird or Plane? 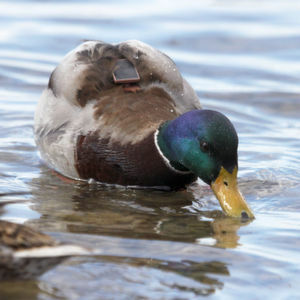 How Is Avian Influenza Virus Spread Over the Globe? In competitions for food or a mate, there will inevitably be winners and losers. The Cambridge researchers wanted to test whether ‘losers’ might be more likely to have a mutualistic relationship with another species in order to gain an advantage over their stronger rivals. At the same time, ‘winners’ may not need any help to win battles, so a mutualistic relationship wouldn’t bring any advantage and might even break down into a form of parasitism. 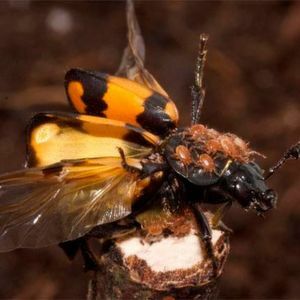 The researchers tested this idea with experiments on burying beetles and their mites. The mites Poecilochirus carabi are benign passengers on their host burying beetles Nicrophorus vespilloides. The beetle flies around, seeking out the bodies of freshly dead small animals like mice and birds. Both the beetle and the mites onboard use the dead body as food for their young. However, beetles face fierce competition for the ownership of a carcass, such as a dead mouse, and smaller beetles often lose the territory to larger rivals. Since the beetles need the carcass to breed, how do smaller beetles manage to reproduce? “We wondered whether mites could give these ‘losers’ a helping hand in fights over a carcass,” said Sun. In the lab of Professor Rebecca Kilner in Cambridge, the researchers staged contests over a dead mouse between two beetles that were matched in size. One carried mites, while the other did not. They filmed the fights with infrared thermography, and found that beetles with mites were hotter and more aggressive, and therefore more likely to win. To investigate how such thermal benefits arose, the researchers built a ‘gym’ for beetles and exercised them on custom treadmills. Beetles either carried mites, or a weight that was equivalent to the mites, or they carried nothing. They found that carrying extra weight caused beetles to generate extra heat as they exercised. The researchers also discovered that this heat was trapped by the mites because the mites form an insulating layer when travelling on beetles. These effects were most pronounced for smaller beetles because mites covered a relatively larger surface area than on large beetles, suggesting that mites are likely to be disproportionally beneficial to smaller beetles. To test this idea directly, the researchers again staged fights between two beetles over a dead mouse. This time, the two rivals differed in body size. They also let beetles lay their eggs on a mouse, with and without mites. The researchers found that small beetles were much more likely to win a fight for a carcass when they were carrying mites. However, the mites slightly reduced the beetles’ reproductive success, because they competed with beetle larvae for carrion. Nevertheless, the huge benefits of acquiring a carcass for reproduction outweighed these small costs. For smaller ‘loser’ beetles, mites are mutualists because they increase beetle fitness. The findings were different for larger beetles. They needed no help to win a carcass, so they gained nothing from associating with mites. To make matters worse, they then lost fitness to the mites when they bred alongside each together on the carcass. For larger ‘winner’ beetles, mites are antagonistic rather than mutualistic because they reduce beetle fitness. The comment is checked by an editor and will be released soon.